Welcome to our selection of romantic breaks just for two. Imagine flickering log fires, candlelight, superb food, fine wines - perhaps a cosy four poster room, flowers, chocolates and champagne...Whether you are marking a special anniversary, celebrating a birthday or even planning to pop the question, indulge yourself and your partner with one of the following romantic breaks. 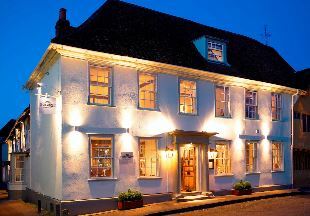 Some of the following deals are exclusive to English Country Inns, and all the offers come directly from the inns and hotels themselves, so you can be sure of a great deal. New offers are added all the time, so please bookmark this page! To make it easier for you to find your perfect romantic break, we have listed the inns and hotels alphabetically by county. Enjoy a 20% discount on our published tariff and receive a 10% discount on any of our spa treatments spa treatments at Pen-y-Dyffryn Hotel, a beautiful Georgian rectory in the Shropshire-Welsh Border hills. The bedrooms at the hotel include some with double Jacuzzis or spa baths and some with private patios. 2AA Rosette food. 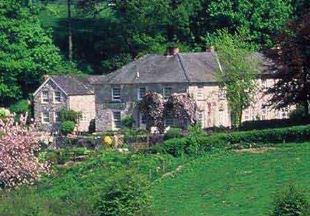 The rates shown include complimentary cream tea and scones on arrival and a four course dinner each night. Offer available from now to end of April 2019. E-mail Us for more details/ reservations or telephone 01691 653700. Stay in our Superior Double (Courtyard Suite) with Jacuzzi bath. Chocolates in your room on arrival and a bottle of wine with a meal for every couple staying three night. Welcome to Wilton Court, an historic 16th century hotel with an outstanding riverside location. One nights accommodation for two people sharing with a candlelit three course dinner from our Mulberry Restaurant menu with no supplements, English breakfast, a bottle of champagne, fresh flower arrangement and chocolates in your room. 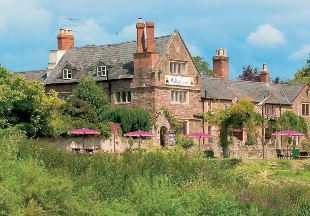 The Castle Hotel at Bishop’s Castle is the perfect spot for a quiet romantic getaway, with the castle top location giving stunning views across the South Shropshire Hills and beyond provides the perfect spot for a light repast and a cooling beverage. 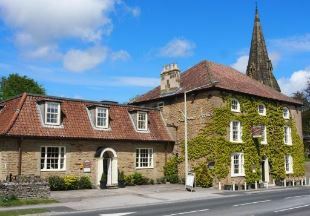 The hotel offers a choice of twelve lovely en-suite bedrooms and three bars each with their own individual character, some with open fires, some with terraces out into the garden. Or why not eat in our oak panelled restaurant by candle light and enjoy some of the best local produce in the country. ‘One of the best places to eat in Britain‘ - The Sunday Times. AA 5 Star Restaurant with Rooms. 3 AA Rosettes for Food. From £599 for 2 persons staying in one of our beautifully renovated deluxe/ king or twin rooms, including dinner from set menu on Friday night and a la carte on Saturday night, accommodation, continental buffet breakfasts and VAT. All our bedrooms have flat screen TV, free WIFI, tea and coffee facilities, mini-bars, fresh fruits and a decanter of sherry. Two Nights Bed and Breakfast, candlelit Dinner one evening, bottle of Champagne and Chocolates in the room on arrival, late checkout, breakfast in bed if desired. 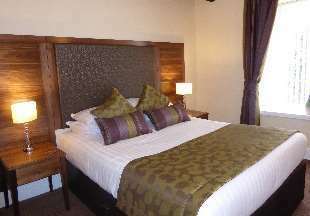 £210 per couple (standard room), £230 superior room and £240 for the four poster room. Spend a romantic break in this 17th century former farmhouse. From just £170.00 per couple in a superior room chocolates and chilled champagne on ice will be in your room awaiting your arrival, followed by a beautiful candlelit dinner. In the morning there is no rushing off with a relaxing breakfast in bed and a late checkout. 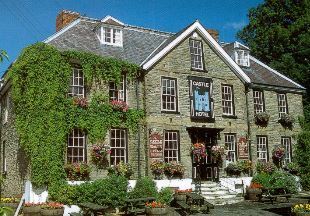 Add an extra night for just £90.00 Bed and Breakfast. For more details, follow the link below to The Downe Arms website. Our best deals... straight to your inbox!